Does everyone out there know all the things you can do with baking soda? 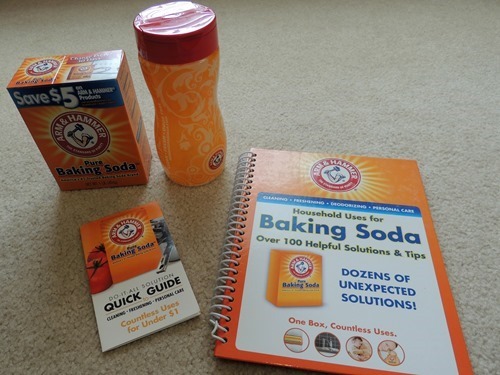 I recently was offered the chance to try out Arm and Hammer Baking Soda through Smiley360.com and not only did they send me a box of baking soda, they also sent this really cool book with lots of ideas and tips for things you can do with baking soda. I decided to try out a few of the tips, most of which are very practical ideas. 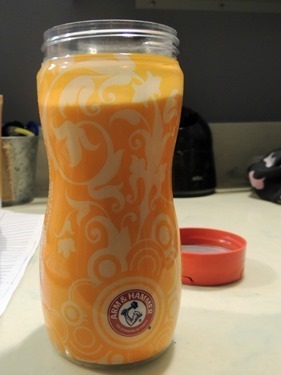 The first thing I did was to add my baking soda to this shaker bottle. This makes it easy to store and to shake out when you want to use it! 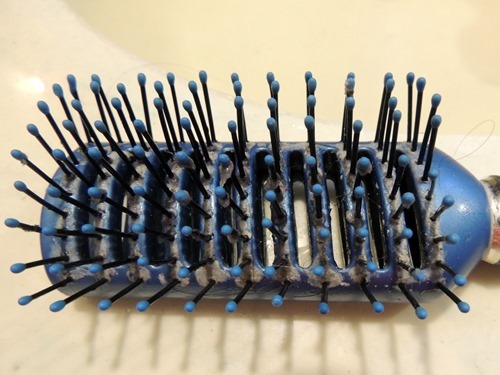 I decided to try the tip for cleaning brushes. Obviously I hadn’t cleaned my brush in awhile. 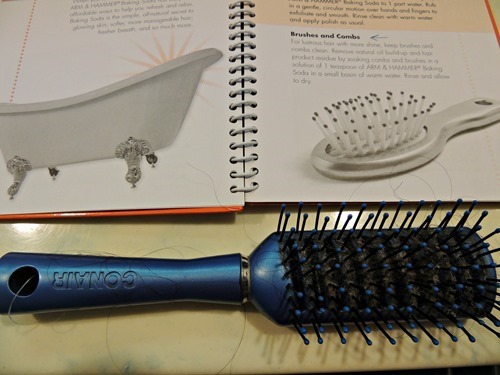 The books says you can remove natural oil build-up and hair product residue by soaking combs and brushes in a solution of 1 tsp Arm & Hammer baking soda in a small basin of warm water. 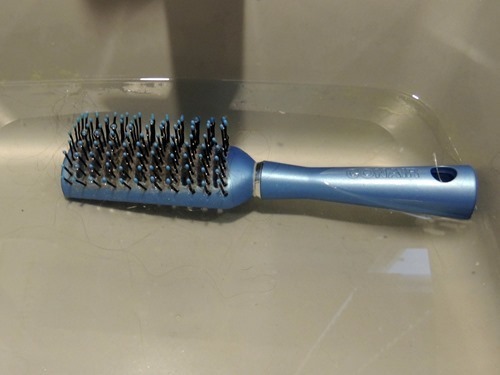 Here is what my brush looked like afterwards. It definitely removed some of the build-up and I imagine if I did this more often it would be even better! Next I tried the tip for removing smell from sneakers. 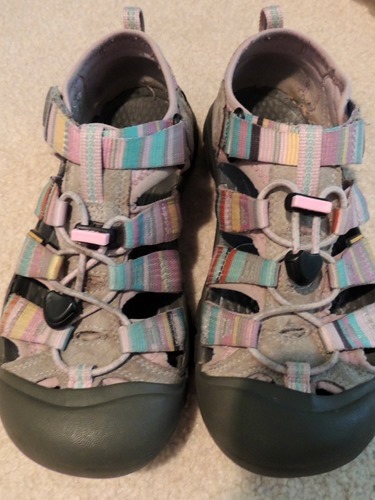 All you do is shake the baking soda into the shoes in between wearings. This will absorb odor causing moisture while neutralizing existing odors. My sneakers weren’t that smelly to begin with, and you can’t smell them through the picture, but the baking soda is in! Finally, I used the baking soda to wash my face. I couldn’t get a picture of said face washing due to having baking soda on my hands. The guide told me to use a paste made of baking soda and water and it seemed to work! It did smell / taste a bit like baking. Now, if baking soda could cure itching, I’d be all set. Want to find out more tips and tricks from Arm and Hammer? Visit here! I received a free sample of ARM & HAMMER Baking Soda from Smiley360. I was not otherwise compensated and all opinions are my own. Did you know you can take mini-courses at craftsy.com? Craftsy’s mini-courses have the same great content that you’ve come to expect from Craftsy.com, but feature student-led discussions and are shorter in length than regular courses. They are a perfect way to learn new skills and experience the Craftsy platform first-hand. Some upcoming courses include Know Your Wool where you can learn about different types of wool and the individual characteristics of each and Creative Quilt Backs where you can learn to make the back of a quilt just as interesting as the front. Check out all of the other free Craftsy mini-courses by clicking here.